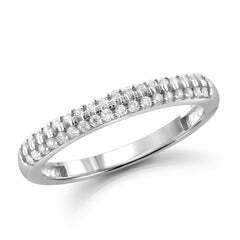 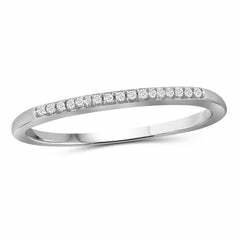 Pledge your love with this shimmering, sparkling diamond anniversary band. 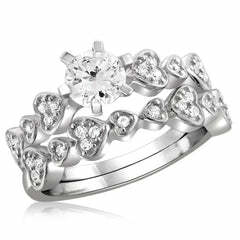 Fashioned in sterling silver, this ring showcases three cubic zirconia prong-set in perfect alignment atop the polished shank. 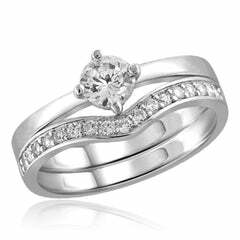 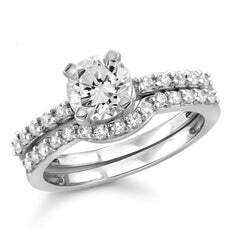 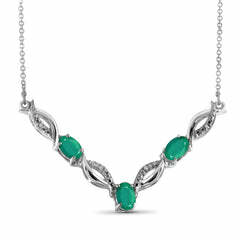 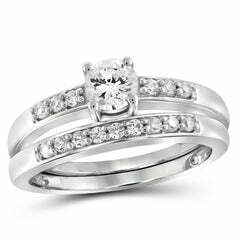 Lovely alone or paired with her wedding set, this ring captivates with a polished shine.